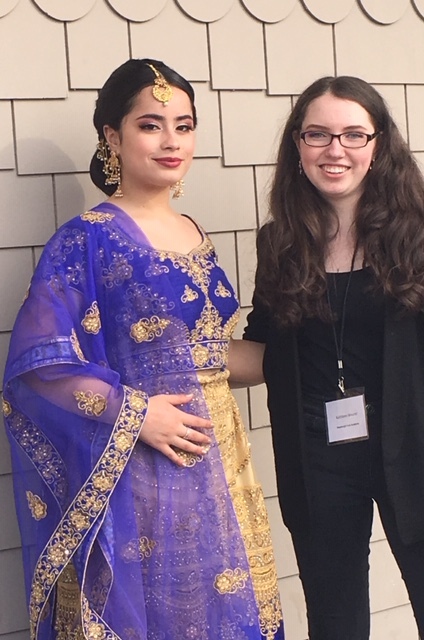 Three scholars from the Newburgh Free Academy Cosmetology pathway participated in a hair competition in Saratoga Springs recently. Gisselle Ochoa designed a hairstyle for Melany Serrano. Kathleen Maurer designed a hairstyle for Dianna Gonzalez. Xylana Smith-Warren designed a hairstyle for Olivia Montalvo. Kathleen Maurer and Dianna Gonzalez took first place with their Indian style updo! Mrs. Maria Lastowski and Ms. Leanne Paganelli are teachers for the Cosmetology pathway. Photos and story provided by Ms. Leanne Paganelli.